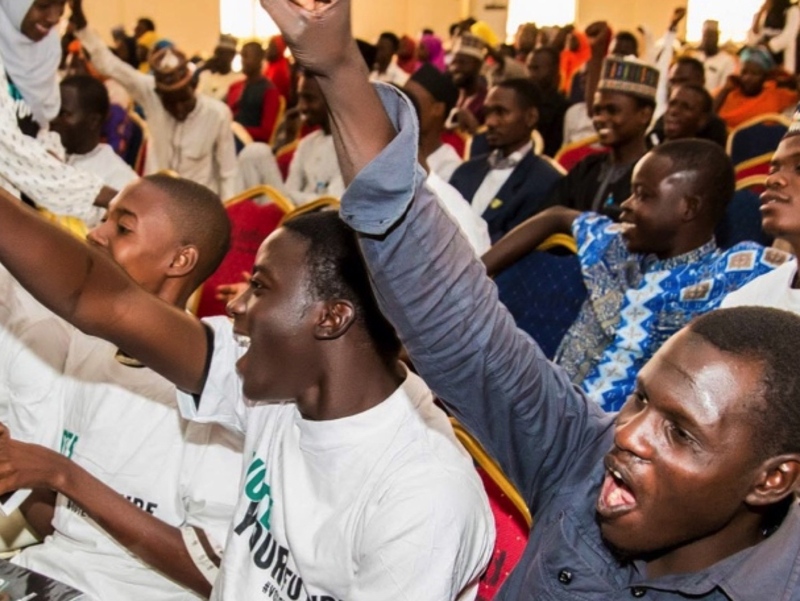 Nigeria’s latest presidential elections are over, but for Nigeria’s youth, the real work is just starting. They are eager for change and are determined to make sure that re-elected President Buhari listens and acts on the issues that matter to them. In February, millions of Nigerians voted to elect a President, including many young people who went to the polls for the first time. Voters took to social media, and many were glued to the TV watching live updates. Two weeks later, they returned to the polls and elected state and government officials. ONE’s #VoteYourFuture campaign was about making sure young people understand the issues that affect Nigerians, and make their vote count. 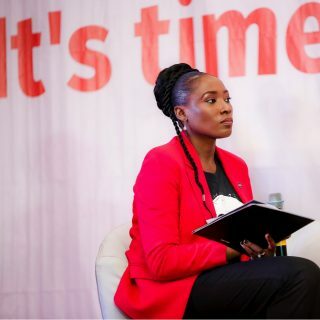 More than 85,000 people, including six presidential candidates, have signed ONE’s Youth Declaration demanding that leaders invest in Nigeria’s youth. Over 85,000 people signed ONE’s Youth Declaration. Tens of thousands of young people showed up at events and rallies across the country. #VoteYourFuture went on the road across Nigeria in February. Tens of thousand’s of young people made their voices heard. Famous faces joined #VoteYourFuture. 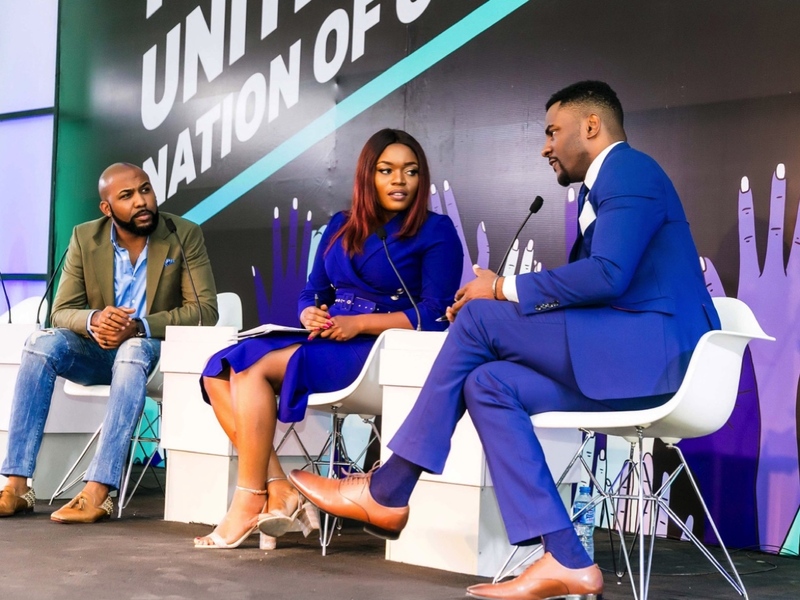 Including media personality and host of Nigeria’s Big brother Ebuka Obi-Uchendu, actress Bisola, singer Banky W, and journalist Laila Johnson-Salami. 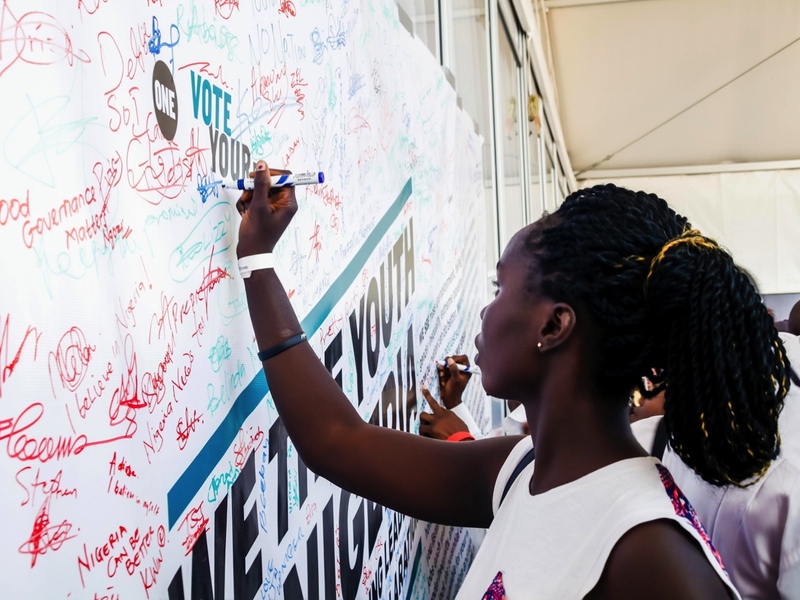 The #VoteYourFuture launch in Nigeria’s capital Abuja. Banky W (left), Bisola (centre) and Ebuka Obi-Uchendu (right). Now the results are in. Nigeria’s youth will present President Buhari with the Declaration, which lays out the issues that matter most. He would do well to listen, because half of Nigeria’s population will be under 25 years old by 2030. 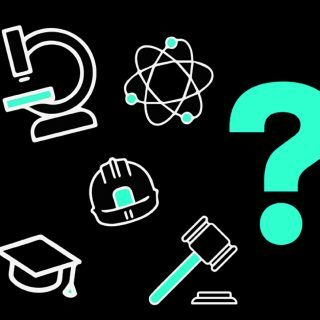 Job creation tops the list of young people’s concerns – not a surprise when around a third of 15 – 35 year olds can’t get work or can only find low-skilled jobs. Other hot issues include ending corruption, improving healthcare, access to education, and investment in agriculture. 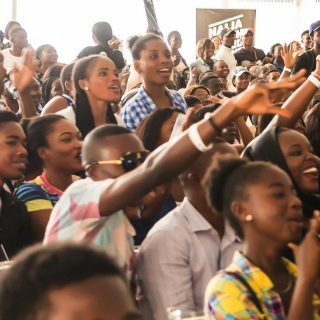 Fed-up with empty promises, Nigeria’s youth are ready for bold changes. In the run-up to elections, they made their voices heard. Now, they’re determined to make sure their leaders build a Nigeria that works for every one of Nigeria’s young people. 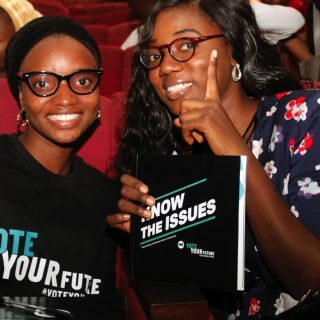 Find out more about #VoteYourFuture and meet Nigeria’s youth claiming the future they deserve.